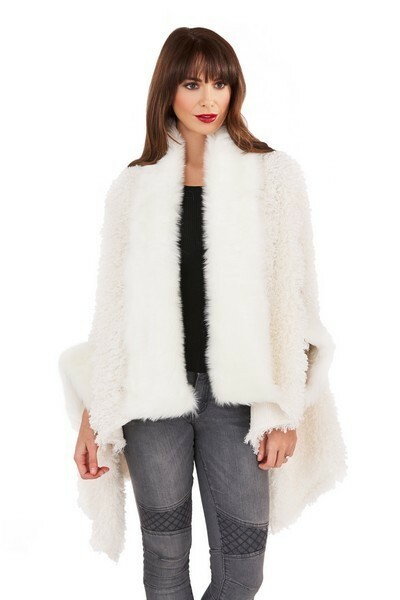 Our ladies cream poodle fur wrap with faux fur collar and cuff detail - is a must have to add a touch of glamour to your customers wardrobes. Teamed with black trousers, jeans or leggings - and flats or heels, its highly versatile. It comes in a one size fits all and comes in packs of 12.